“The purpose of the model is to enable the user to do a better job in handling the enormous complexities of life. By using models, we see and test how things work and can even predict how things will go in the future. The effectiveness of a model can be judged by how well it works, as well as how consistent it is as a mechanical or philosophical system. People are very closely identified with their models, since they also form the basis for behaviour. Men have fought and died in the name of different models of nature”. Detailed distinctions are important for precision modelling. That includes modelling itself. In DBM we identify a number of levels to modelling. All of them are useful. 1. Naming. Names are irresistible. Identifying something often begins by naming it. It can also be a trap as the name is not the thing, the result can be the illusion of understanding. 2. Listing. Collecting things, grouping of things. personality. Again there is the possibility of illusory understanding. 4. Sequencing. Tracking changes over time. Attending to the dynamic qualities. representation but at the cost of reducing the temporal dynamic. 6. Processing. Identifying the key functioning of the sequence. 7. Replicating. Copying particular sequences. 8. Patterning. Identifying a common map across examples. 9. Modelling. Replicating product, process and principle. 10. Recursioning. Going beyond by applying model to self. 11. Modelling Modelling. Identify the product, process and principles of the modelling. NLP aims to replicate successful behaviour (level 7). The strategies model supports this by mapping the sequence of senses used in a skill (level 5). If we follow Bandler and Grinder’s advice to understand the client’s model - the structure of subjective experience and concentrate on what they are doing, that would be (level 4), if we want to build a working model that would be (level 9). In DBM we are also interested in how the client constructs and changes their model of the world – the ongoing processing and patterning of subjective experience (levels 10 and 11). This requires modelling what, how and why modelling works, and the working of modelling, these are tasks beyond the scope of the NLP method. NLP aims to model how things work. 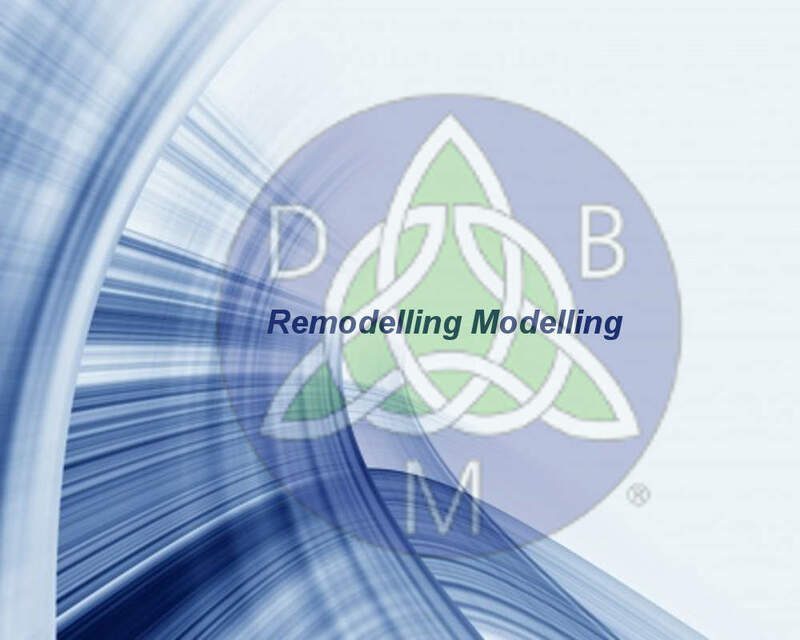 DBM aims not only to model how things work but how to work things. Что он здесь описывает, очень похоже на результаты глубокого "лингвистического моделирования". Типа метамоделирования. Или моделирования в стиле Precision. Моделирования (в основном) того, как люди говорят о вещах. Его DBM в первую очередь является вопросной техникой? 1. 93% of communication is non-verbal. 2. Eskimos have seventy words for snow. 3. Language is always literal. 4. Beliefs are difficult to change. 5. "Why" should not be used. 6. "Try" should not be used. 7. Flexibility and variability are the same. 8. Excellence and Excelling are the same. 9. Gestalt: The whole is greater than the sum of its parts. 11. NLP is client centred. 13. In NLP there is no split between mind and body. 15. Beliefs and identity are neurological levels. 16. The brain is the same as the mind. 17. Modelling method is a methodology. 18. We have perceptual Filters. 19. Sensory acuity is all about clean sensory channels. 21. Systems thinking is the same thing as thinking systemically. 1. 93% of communication is non-verbal. “Generalising, we can say that people's implicit behaviour has more bearing than their words on communicating feelings or attitudes to others. So we have rewritten our equation for any feeling. not always more important than words. In fact, implicit cues are ineffective for communicating most referents denoted by words (for example, "I'll see you tomorrow afternoon at 2:00 pm", "I was wearing my new velour suit yesterday", or "x + y = z")”. There are three points of note here. The first is obviously that when the percentages quoted are applied to all communication and not just how we perceive whether we are liked we are making a gross error. The second is that the details of them are often changed from vocal and facial to non-verbal movements. The third is the use of these percentages to sell non-verbal communication skills training. This is a dishonest sales practice whether done knowingly or unknowingly. А меня тут другой вопрос удивляет. Почему такая большая разница между тем, насколько люди хорошо владеют коммуникацией. Но на порядок меньшая разница, насколько люди хорошо воспринимают (откликаются на) коммуникацию. Да, условно есть типа "внушаемые", а есть типа "непробиваемые". Но это разница ни в какое сравнение не идёт с той громадной разницей между изощрёнными коммуникаторами и не изощрёнными в коммуникации субъектами. А меня тут другой вопрос удивляет. Почему такая большая разница между тем, насколько люди хорошо владеют коммуникацией. (1) Врождённые задатки к развитию коммуникации разные. (2) Разная по насыщенности развивающая среда развития индивидуальной коммуникации. (3) Доступ к особенным информационным ресурсам. Но на порядок меньшая разница, насколько люди хорошо воспринимают (откликаются на) коммуникацию. Да, условно есть типа "внушаемые", а есть типа "непробиваемые". Я всегда говорю, что непробиваемые добиваются большего в итоге. Но это разница ни в какое сравнение не идёт с той громадной разницей между изощрёнными коммуникаторами и не изощрёнными в коммуникации субъектами. Ну, это разница между изощрёнными в специальном навыке и не изощренными. Обучившимися и не обученными. …это модель любого среднего субъекта. Жаловаться не на что. Практика, практика, практика. 2. Eskimos have seventy words for snow. On page 15 of Frogs, Bandler and Grinder state that “Eskimos have some seventy words for snow”. Pullum explores this myth in his book ”The great Eskimo Vocabulary Hoax”. He cites the work of anthropologist Laura Martin of Cleveland State University who spent some of her research time during the 1980s attempting to slay the constantly changing, self-regenerating myth of Eskimo snow terminology. She traced the myth to the original source of Franz Boas' introduction the Handbook of North American Indians (1911). As a modeller I too am interested in what people do especially when perpetuating inaccurate models. My concern for a modelling field is the lack investigation and accurate modelling. It is one level of error to believe the Emperor is wearing fine clothes if you haven’t seen the Emperor, it is another when you have. Re: 2. Eskimos have seventy words for snow. The question at the end of techniques is not a test of ecology but of the client's congruence with the changes. It is a test of “affect”. On its own it could never be a test of “effect”, what the results would be on the client as a whole system. It is a useful thing to do but deceptively mis-leading to give it a grander title than is accurate. Тут мы можем согласиться, что по вопросу "экологической проверки" в явном виде информация от БиГов скупа и не полна. Но с тем, что этот процесс априори не эффективен я бы возразил. Методы "экологической проверки", если в них вглядеться, на деле являются методами "экологической настройки/установки" — клиент получает прямые комплексные постгипнотические внушения САМОСТОЯТЕЛЬНО ВОССТАНОВИТЬ экологию в будущем по месту возникновения возможных заранее неучтённых экологических касательств. Это же основа бриф-терапии. It is often stated in NLP that we have Perceptual Filters. These are responsible for filtering the incoming information about the world. As a metaphoric description this is an interesting one, as a process description it is the exact opposite of what happens. Our nervous system works on thresholds and news of a difference. We learn to become sensitive to particular stimuli and so actively select what we let through – the exact opposite of a filter whose active response is to hold things back. What could hold a perception back and what happens to all the rubbish in the filter? В целом мы бы скорее согласились с его мыслью о том, что в человеке едва ли можно указать на какие-то нейрологические структуры, исполняющие именно роль "фильтров". Но иногда всё же можно. Например, фрейдовские системы вытеснения/замещения информации. 9. Gestalt: The whole is greater than the sum of its parts. This is one that can have such misleading connotations as ‘big is better’. In my work with gangs, dysfunctional teams and organisations it is clear that the opposite is the case - the whole is less than the sum of the parts. I’m a little embarrassed to think how many years it took me to work this out (however I am somewhat consoled by the fact that no one else I have met has realised it until I tell them!). The accurate conclusion is that the whole is different from the sum of its parts. I hope that this is enough to stimulate for now. The others will be clarified in future articles. In this article I have outlined some of the beginnings of ‘re-modelling’ NLP to make it more effective, efficient and elegant. In future articles I will go into more depth on each of the main elements of practitioner and master practitioner level NLP. I hope that this will encourage an open and developmental approach to NLP through constructive criticism. Only if this happens can NLP continue as a field of study rather than becoming a dead technology. By demonstrating openness to learning and development in our own thinking and behaviour we offer our clients a deeper pattern of successful behaviour, one that will benefit them beyond the range of any particular technique. Since the introduction of sub-modalities in the early 80’s there has been little in the way of major developments of the NLP model. There have been many developments beyond NLP; chaos theory, fractal structures, fuzzy logic to name a few. As Bateson said in the introduction to Magic I “But, indeed, much that was so difficult to say in 1955 is strikingly easier to say in 1975" p xi. We have moved on a lot since 1975. Part two of this series will be “Re-Modelling the Meta and Milton models” and include a simple model of conversational belief change that is also a basis for constructive questioning of NLP. Мысль о том, что любой коллектив как "целое" будет скорее проще/примитивней составляющих его частей — интересна. Та же мысль является пресуппозицией шестишагового рефрейминга — развитие возможно через ээ актуализацию отдельных частей.